Obituary for Curtis Omega Davis | Robert A. 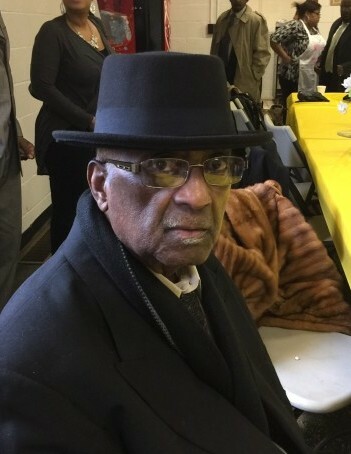 Waters Funeral Home, Inc.
Curtis Omega Davis, 85 of Clairton, Pennsylvania, departed this life on Tuesday, August 14, 2018 in AHN Jefferson Hospital. He was born June 13, 1933 in Clairton, PA, son of the late Adolph, Sr. and Lessie Gowans Davis. He was preceded in death by sisters, Ruth Caldwell and Ernestine Cooper and brother, Adolph Davis, Jr. He was the loving husband of Thelma L. Davis of Clairton. Curtis attended First African Methodist Episcopal Church. He also served in the United States Army and retired from US Steel. He worked as a security guard for St. Moritz Security Services in both AHN Jefferson Hospital and UPMC McKeesport Hospital. Curtis loved cars, hunting, and spending time with his grandchildren and great-grandchildren. Left to cherish his memory are his wife, Thelma L. Davis, two daughters, Garnett Diane Davis of Crafton and Rhonda D. (Lawrence) Sinkler of Baltimore, MD; two granddaughters, Nicholle (John) O'Leary of Pittsburgh, and Erika (Nick) Johnson of Baltimore, MD; eight great-grandchildren; sister, Elizabeth Rice of Cleveland, OH, nieces, nephews, cousins and many loving friends. Friends will be received on Monday from 10:00- 11:00 am in First African Methodist Episcopal Church, 177 Mitchell Avenue, Clairton, Pennsylvania, where services will begin at 11:00 am with Rev. John Coefield, III officiating.